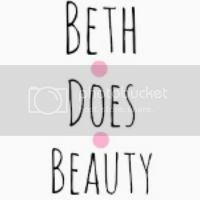 Hi everyone, Its blogmas day 7 today and todays the day i'm doing my giveaway. todays quite a boring day for me as nothings really happaning, going to pack my kit for tomorrows photoshoot watch harry potter and wright some christmas cards. I really wish I had some pressents to rap up but thats all done but I love gift rapping so i'm going to beg my dad to let me rap the presents for mum haha. 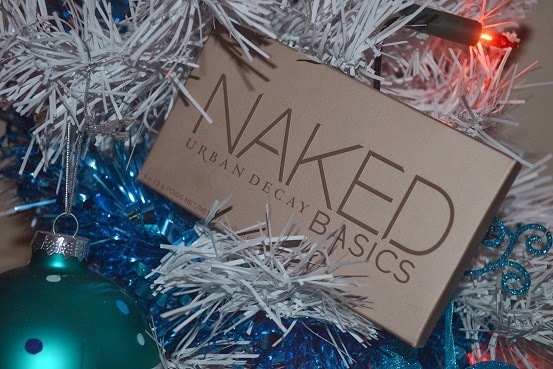 Anyways if you have followed me since this time last year then you will know I did a holliday giveaway last year and gave away some nail polishes, but the giveaway went down really well so I have desided to do a giveaway in this years blogmas, Im actully giving away this Urban decay naked basics palette, I dont actully own this one myself but I do own the other naked palettes and i'm planning on getting the naked 3 aswell. anyways I thought it would be nice to giveaway something I know everyone will love. Please enter using Rafflocopter, and please do read the rules and enter correctly. Hope you all like the giveaway and I will see you tomorrow night with a new post. Whoa, took me quite a while to figure out what GFC was.. The UD Vice 2 palette is at the top of my list! 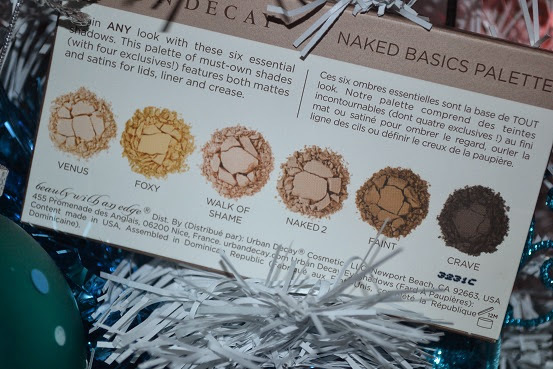 Urban Decay Naked Basics Palette!!! ...and of course Naked Basics Palette! the naked 3! i'm dying for it! or any make up products really! On the top of my Christmas wishlist are a crock pot, MAC & Sephora gift cards and the Urban Decay Naked 3 palette. Thank you for an awesome giveaway and Happy Holidays! !